Two of the biggest problems Alzheimer's and Dementia caregivers face are how to cope, and how to talk with someone who has dementia. The issue: are you really listening to the person living with dementia? Or, are you immediately reacting, or overreacting to their words? Let's face it, Alzheimer's patients often say things that seem nonsensical to us; or, say things that leave us exasperated, confused, frustrated, and sometimes angry. The words they say often cause us to react negatively. 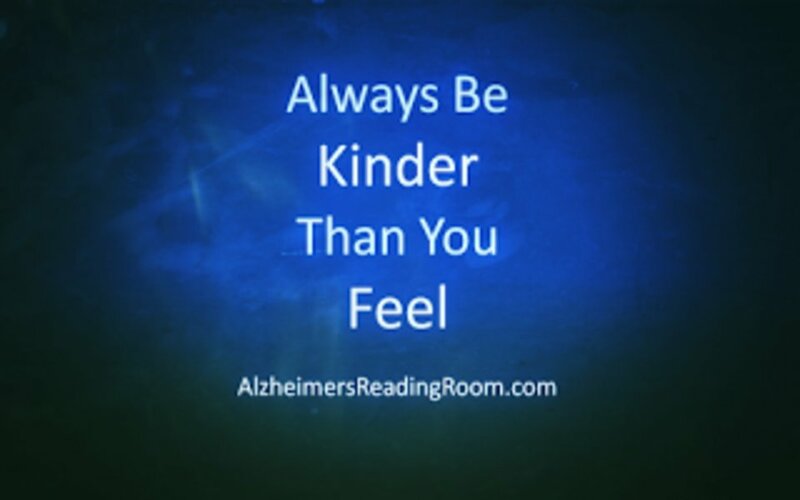 Once I took the giant step to the left and entered Alzheimer's World the words my mother was saying took on a new and entirely different meaning for me. I actually started listening to her instead of over reacting. I want you to imagine yourself calmly leaning up against the wall and listening to your Alzheimer's patient. While leaning up against the wall try and think about what the words they are saying - really mean. You can also do this exercise while sitting in a comfortable chair and imagining an encounter, episode, or incident you had with your loved one. Or, by imagining a recurring episode in your head. Example. The dementia patients says, I want to go home. Home of course can mean many different things. In the case of my mother, Dotty, home meant home to south Philadelphia. At the time while my mother was saying this over and over she lived in Delray Beach, Florida, and had been living there since 1977. Dotty lived in the same exact place Delray Beach from 1977 - 2012. So you would assume home meant our home in Delray Beach. But during the period from 2004 - 2008 when she said she wanted to go home, she wanted to go home to south Philly a place where she had not lived since 1943. When my mother said I want to go home to south Philly I might say something mean. "Go ahead, I'm not going". Or, I might try to explain, you are home. Or, I tried some other wordy explanation. 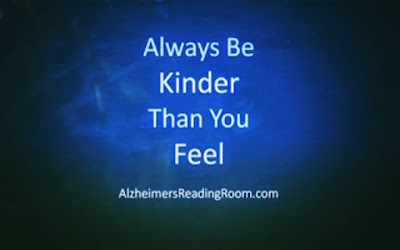 Article - When Alzheimer's Patients Say Mean Things, What do you do? How was I feeling when Dotty repeated said, I want to go home? I felt crazy, disconcerted, frustrated and sometimes angry. On the surface what she was saying didn't make any sense to me. We were home. Hence the frustration etc. she didn't appreciate the simple fact that I was taking care of her 24 hours a day, seven days a week. Maybe that is what I heard. Do you ever feel like this? That you are under appreciated? Or, I want to move back to south Philadelphia. instead she was trying to tell me she wanted to feel safe and secure. After all, I can only assume Dotty felt very safe and secure when she lived with her parents in south Philadelphia. She was also very happy. I know this because she told me lots of good stories about when she was young. Happy stories. Once I figured out how to look beyond the obvious and listen to what Dotty was saying, read between the lines so to speak, I found that I was no longer disconcerted, frustrated, or angered by her words. I started doing two things. First, when Dotty said, I want to go home, I simply responded, "okay we will look into it" or, "we will have to go up there soon and look for a place". This seemed to satisfy Dotty and we could move on. The less words you say by the way the better. If you use too many words it doesn't work very well. Once I started listening, I also started learning. In this case I decided I was going to address the issue of safety and security head on. "I really like it here in Delray Beach, this is a very safe and secure place to live". Or, wow, "its really cold today up in Philly, and here we are at the pool, I bet they wish they could go to the pool with us. They are freezing there butts off up there today". This usually made Dotty laugh and smile. I tried to layer it on thick every chance I got. I also tried to put my arm around Dotty, my head up against her head, and reassure her as often as I could. After 2008, Dotty stopped saying, I want to go home. But, on those rare occasions when she did I though "uh oh" I better start communicating some positives, I better get her out into the bright light, and we need to do some things to reinforce safety, security, and trust. I learned to cope and communicate. Bottom line you have to relax, listen, lean up against the wall and figure out what your dementia patient is really saying. And then take some positive action. Just so you know, the result of creating a safe, secure environment, by frequently putting your arm around your loved one and reassuring them , by telling them it is the two of us now and that you are going to take good care of them will likely create the long term effect you are looking for - they will stop saying mean, harsh, or nonsensical things. Or, say them less often. I cured our problem by listening, then communicating positively with Dotty. Layer on the positive reinforcement, and get rid of the negative you are laying out there now. This might seem odd, but I learned that in most cases you have to meet mean, disconcerting, or hurtful behavior on the part of a dementia patient with the exact opposite kind of behavior. Be kind, understanding, and lovable. You do what I am describing and guess what is going to happen - they will stop engaging in the undesired behaviors and start acting more like you. Kind and gentle. You have to go first though. This is how you cope and communicate with an Alzheimer's patient - give them back the exact opposite feeling and emotion of what they give you until they stop. Or, just keep on doing the same old thing for the next seven years. It will work if you are patient and determined. 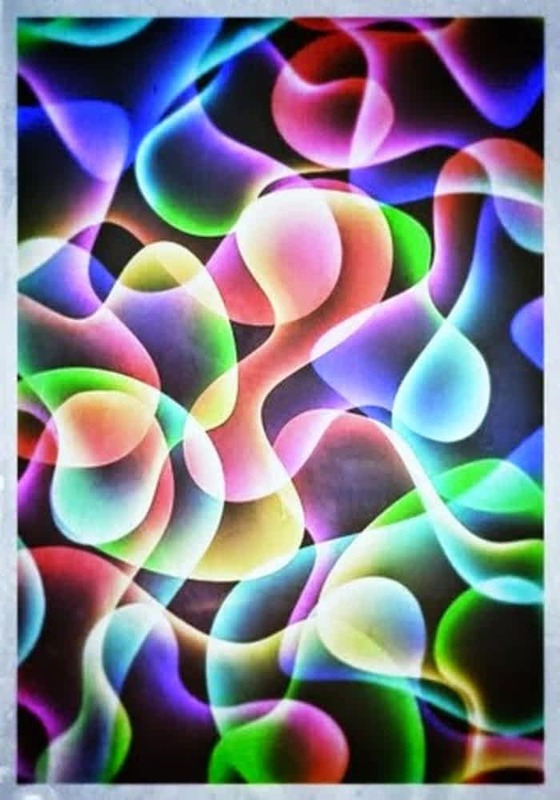 Bob DeMarco is the Founder of the Alzheimer's Reading Room. "The Alzheimer's Reading Room and Bob DeMarco are true treasures to Alzheimer's patients and their loved ones, especially their caregivers".